For the past two months, I’ve posted individual stories about children who fled the Nazis and survived the Holocaust by taking the Kindertransport to England. An earlier post explains how the Kindertransport program was created. 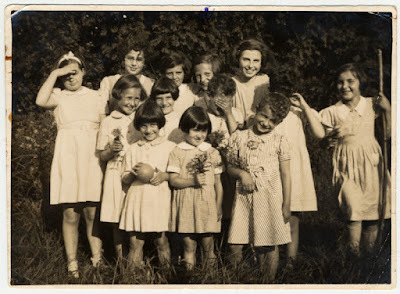 If you missed that post and would like to read it, here’s the link: The Kindertransports: Nearly 10,000 Children Rescued from Nazi Territory. Lory Gruenberger lived a happy childhood with her brother and parents in Breslau, Germany, close to the Polish border. To her doting father, Lory could do no wrong. Mr. Gruenberger, a partially paralyzed WWI veteran, had a flourishing law practice and refused his government disability pension. After the Nazis took power in 1933, they didn’t harass Mr. Gruenberger due to his veteran status. By 1937, Lory’s parents recognized the rising danger for Jews and searched for a way to leave Germany. They applied for quota numbers to the U.S., but the wait was long. In the meantime, Lory’s aunts in South America sent papers for the family to emigrate there. The Gruenbergers sold their house, bought passage for South America, and shipped all their belongings ahead. Two days before their scheduled departure, the Argentine consulate informed them that Hitler would no longer allow siblings to sponsor each other to emigrate from Germany. They were unable to find a way to leave. The Gruenbergers had money, but very few stores would sell to Jews. They lived in a hotel in Breslau and started over, purchasing what they could. 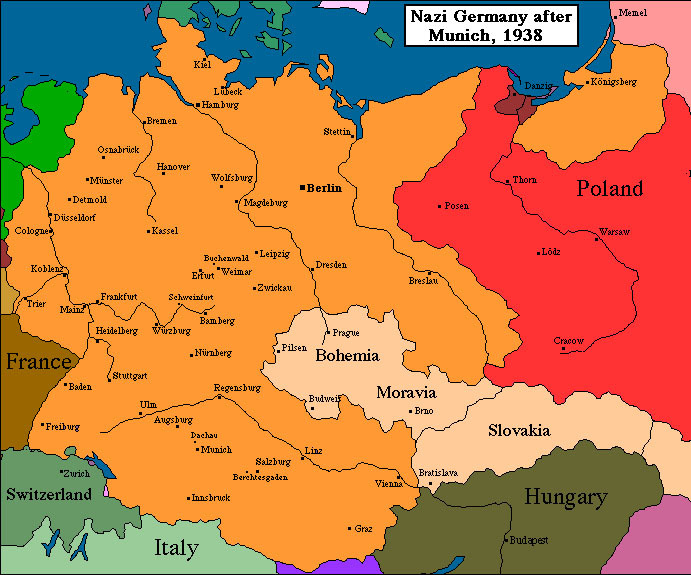 Lory’s brother completed secondary school three years early, and the family sent him to a small university in Czechoslovakia to get him out of Germany. During the summer break, they sent her brother to stay with Lory’s uncle who taught at Cambridge and Oxford in England. He never returned to Germany. One morning in November, 1938, Lory road the trolley car to school as usual. During the trip, she passed store after store with smashed windows. In the center of town merchandise littered the sidewalks. She realized all the damaged businesses belonged to Jews. After leaving the trolley car, she could only see the top of their synagogue, but she spotted flames shooting from the edifice. She was so frightened, she crossed the street and took the next trolley back home, refusing to look out the windows on the return trip. Lory arrived home, and the family maid, with tears running down her face, grabbed onto Lory. German officials had just arrested Lory’s father and taken him away ten minutes earlier. Lory’s mother was also distraught. But three or four hours later Mr. Gruenberger returned home in a police car. 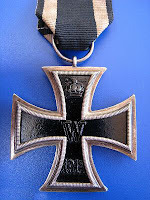 The Iron Cross belonging to a WWI veteran still provided protection for some Jews. Lory applied and was accepted for the Kindertransport. Her father wanted her to go to England, but at the same time he didn't want her to leave. On the prearranged day, the Gruenbergers boarded the Kindertransport train with Lory and put her suitcase up. Her father lowered her window all the way down so she could lean out of the train – the German passenger trains had very large windows. They hugged and kissed, and Lory’s parents disembarked. While waiting on the platform, her father’s face turned whiter and whiter, and her mother couldn’t hide her suffering. As the train started to move, Lory’s father asked to hold her hands through the window. Before the train gained speed, Mr. Gruenberger pulled Lory out the window. She fell on the train platform, causing injury and bleeding. Her father was extremely happy to have his little girl back, but Lory was devastated. After arriving home, her father admitted he probably shouldn’t have pulled her off the train, but after losing his son, he didn’t want to live without her. Mr. Gruenberger chose to believe that nothing would happen to their family and stated as much to Lory and her mother. Lory was no longer allowed to attend school or the movies, but Lory and another Jewish friend decided to defy part of this order. Neither girl looked Jewish, so they removed their yellow stars and went to see Shirley Temple movies. When Lory’s father discovered from the other girl's parents where she was, he went to the theater with a light and pulled her out. He slapped her, which he had never done before. 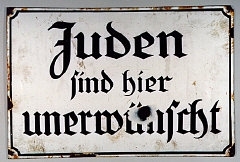 Most stores posted signs informing Jews they weren’t allowed to shop in their establishments. When Lory and her mother entered stores where they were welcome, they were greeted with “Heil Hitler.” They responded with “Drei Liter,” which means three liters, and because it sounded so close, no one challenged them. In 1940, the authorities called women up for forced labor. Lory was fifteen years old and was assigned to clean the streets in another part of Breslau. She wasn’t allowed to ride on the trolley car because she was Jewish, so she had to get up at 4:00 AM and walk by herself in the dark almost 45 minutes to the assembly place. Lory was next assigned to work in a uniform factory where she mended and cleaned dirty uniforms. She did this until close to the end of 1941. Various judges and lawyers visited Lory’s father and warned him that he and his family would eventually be arrested. The SS came at 4:30 one morning and nearly broke the door down. The Gruenbergers were only allowed to take what they could put on and nothing else. Lory’s father had a very high fever, and he was taken out on a stretcher and loaded on a truck. Lory and her mother were taken on another truck to the huge yard of a synagogue and, along with hundreds of others, waited outside in the March cold for about two days and nights. 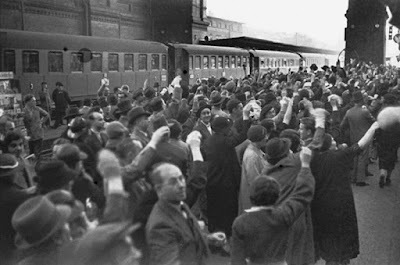 They were then taken by truck to the railroad station and loaded into cattle cars. Thirty-five to forty frightened people traveled in the cattle car, in complete darkness, with no food, for two days. 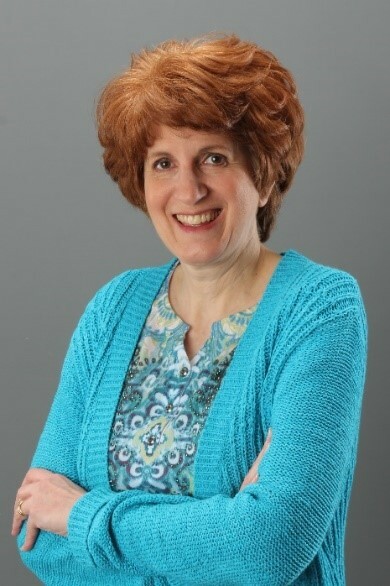 Cindy Stewart, a high school social studies and language arts teacher, church pianist, and inspirational historical fiction author was a semifinalist in American Christian Fiction Writer’s 2017 Genesis contest, and won ACFW’s 2014 First Impressions writing contest in the historical category. Cindy is passionate about revealing God’s handiwork in history. She resides in North Georgia with her college sweetheart and husband of thirty-five years and near her married daughter, son-in-law, and three adorable grandchildren. She’s currently writing a fiction series set in WWII Europe. Giveaway: Leave a comment below by Tuesday, 7/4, at 8:00 PM (EST) and earn a chance to win the Carol Award, Christy Award, & INSPY Award winning book, Secrets She Kept, by Cathy Gohlke. Share on Facebook or another favorite social media site and earn an extra chance to win. Please remember to leave your e-mail address and let me know if you've shared. What a great post. I can hardly wait for the next installment. 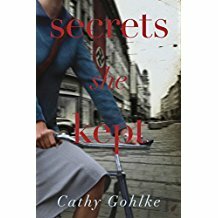 I would also love to win a copy of Cathy Gohlke's book. Thank you for the chance. Thank you for stopping by, Cindy. You're on the list for a chance to win Cathy's book. I am so enjoying these stories. Thank you. And I'm not sure "enjoying" is a good word, but they put a face on those devastating times, and show how courageous these people were. Thank you, Connie. I'm fascinated by the courage displayed by the people in these stories too! It makes our own problems seem so small in comparison. You're entered in the drawing for the giveaway. I have heard lot of things about the book. But feeling more interest to have this book after reading your post. U would like to achieve the chance to avail giveaway. Hi, Emma. I'm glad you're interested in the book I'm giving away. It's an eye opener. You're entered for a chance to win. wow what a history lesson. cant wait for the continuation. would love to get your book. Thank you for reading and commenting, Lori. You have a chance to win the giveaway. Hi, Melanie. Thank you for your kind words. You might be the winner on the 4th. This is a fascinating story and I look forward to reading more in August. It is hard to imagine the indignities and the pain that the Jews endured. As I look forward to July 4th I will certainly value my freedom even more! Connie, thank you for commenting and for sharing. You've earned two entries in the drawing for Secrets She Kept. Another informative post about Kindertransports; although, Lory Gruenberger's story is heartbreaking it shows the determination, courage to stand strong during troublesome times. I look forward to reading the end of Lory's story. Secrets She Kept sounds intriguing. Thank you for the giveaway. Hi, Marilyn. Although Lory's story is different from those who left on the Kindertransports, she has a special story all her own. Thank you for reading and commenting. You're entered in the drawing. I've never heard of the Kindertransport! This is a fascinating post. Hi, Dianna. Thank you for commenting and sharing about the Kindertransport post. You've earned 2 spots in the drawing. Thank you for this informative post! I'd love to read Secrets She Kept. Caryl, thank you for dropping by and sharing the post on Facebook. You're entered for 2 chances to win Secrets She Kept. Thank you for the post. So much about behind the wars that just leaves me speechless. Hi, Karen. There are so many stories to tell about WWII. And so many miracles took place in the midst of all the evil. You're entered in the drawing for the giveaway. Thank you for taking the time to read my post, Mindy. Be sure to check out the ending on August 1st. :) You're entered in the giveaway. Hi, Donna. You'll enjoy the end of Lory's story. Thank you for commenting and sharing. You've earned 2 spots in the giveaway. I'm so glad you enjoyed the article and hope you can return next month for the conclusion. Thank you for sharing on Facebook, and you're entered twice in the drawing set for tomorrow night. Thanks so much for sharing. There is so much we have never heard about the war. Looking forward to the conclusion next month! Thanks for the giveaway - I would love to win. Hi, Betti. I'm so glad you stopped by today. You've earned a spot in the giveaway. What a devastating period of time in our history. I pray that it will not be repeated again. Oh, yes, Janet. I pray the same. If we don't learn from history, we're destined to repeat it. Thank you for reading and commenting on the blog post, and you're entered in the drawing for Secrets She Kept. Congratulations to Melanie Backus, the winner of Secrets She Kept! Thank you to everyone who participated.